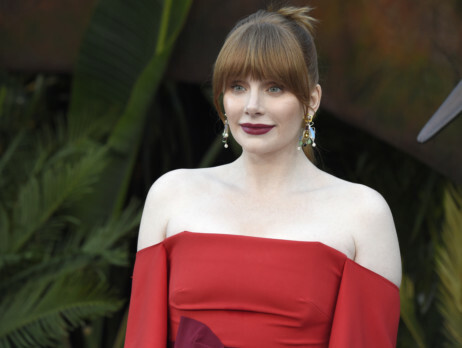 Bryce Dallas Howard, who has made her mark as an actor, producer and director, was named Harvard University’s Hasty Pudding Theatricals 2019 Woman of the Year on Tuesday. “The Pudding is excited to honour an accomplished actress who has given such a wide range of critically acclaimed performances, and is committed to expanding the role of women in every aspect of storytelling,” the nation’s oldest collegiate theatrical organisation said in a statement. Howard will be honoured with a parade through Cambridge on Thursday, to be followed by a roast where she will receive her pudding pot. The roast will be followed by a preview of the organisation’s latest production, ‘France France Revolution’, its first that features a cast that includes women. “In addition to being fans of Bryce’s work in TV and film, we admire her efforts to forge new pathways for female artists and creatives in Hollywood,” Mariana Sanchez-Medina, the organisation’s co-producer said in statement. Howard starred in ‘Jurassic World: Fallen Kingdom’ last year, the sequel to the 2015 box office hit ‘Jurassic World’. She will next be seen in ‘Rocketman’, an Elton John biopic scheduled for release in May. It has honoured a Woman of the Year since 1951 and previous winners include Ella Fitzgerald, Meryl Streep and Halle Berry. Mila Kunis was last year’s honouree. This year’s Man of the Year has not yet been announced.